The type classification project focused on understanding typeface and its history. It was categorized into five basic families for easy identification. 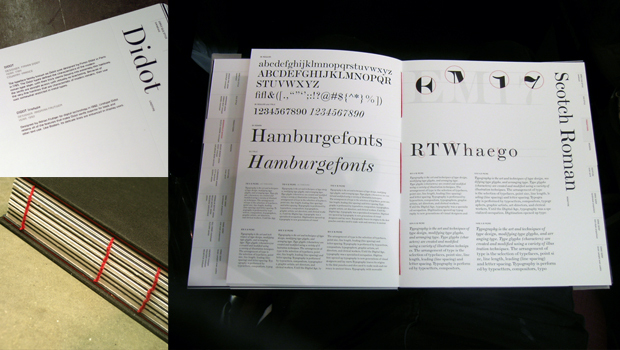 Each one has 2 or 3 typefaces that represent the characteristics of each category. I used Russell Square for the description font. It works as a neutral presence in this type specimen book because this typeface does not fit in any of the other type categories that this book contains.